PMaspire is a world-famous registered education provider of Project Management Institute Inc. It offers an e-learning and exam simulator platform to help PMP® aspirants pass the PMP® certification on the first try. PMaspire is the developer of world’s first-cloud based, multi-lingual enterprise Exam Simulator as a Service. They offer one-stop solution to meet the varied needs of the individuals. 23rd January, 2019, Singapore: It is seen that students who prepare under realistic exam condition perform better on the exams. 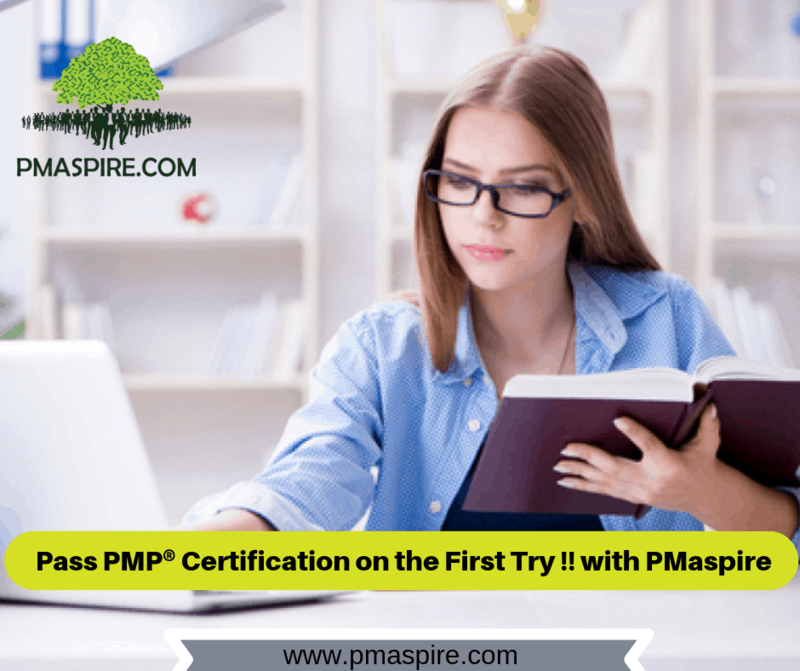 Following the same approach, PMaspire has prepared PMP® exam simulator that can provide students with a realistic environment so that they can practice under test conditions. PMP® exam simulator contains 650+ flashcards, 600+ PM dictionary, 160 hours pass plan, 3000+ highly realistic exam questions, 4500 hours PM experience calculator, EVM/math practice simulator, 3 different learning modes- exam mode, timed mode and learning mode. PMaspire offers outstanding web-based services in English, Spanish, Arabic and Portuguese. The test material and questions have been updated according to the changes and exam dynamics in 2018. The PMP® exam simulator can help test-takers validate their proficiency, get familiar with CBT environment and refine your test-taking strategies for the PMP® exam. PMaspire is also the pioneer of Agile PMP setup, Agile Project Management, PMP consultancy and PM resourcing services. Not only this, they are also the premier solution providers for Pharma, Construction and Govt. Industries, NGO’s Project Managers & Project Management office consultancy. PMaspire has extended its horizon in 100+ countries through 350+ authorized partners and solution providers including PMI Chapters & REPs providing PMP® Training simulator & Exam Simulator to ensure their training activities more effectively. Also, PMaspire is proud to be trusted by 50k+ PMP aspirants Globally for their PMP® Exam Journey. If you want to pass PMP® certification on the first try, practice on PMaspire’s PMP® exam simulator. It will help you to manage your time effectively, gain confidence, apply test-taking strategy and prepare for the exam. Address– PMaspire Singapore PTE Ltd.
Shenzhen Strong Matrix – PMI REP in Shenzhen, China Signed Up with PMaspire Chinese PMP® Sixth Edition Simulator. CTB Solutions, LLC, USA Signed Up with PMaspire for Cloud Exam Simulator ! PMaspire thank you so much. I am pleased to share my experience using the PMAspire resource. I accidentally stumbled on PMAspire, and took to it. The free trial opened up a lot of my weaknesses and I had to subscribe since I was preparing for my PMP Exam. The resource proved highly highly invaluable. It's to me a one-stop online shop. This is my experience. I painstakingly tested myself using the Knowledeg area questions and those of the Processes. It exposed my gaps, which I had to work on seriously. There were times of discouragement but I was undaunted as per my knowledge gaps and Gbam! I MADE IT. I GOT MY PMP! I will always reference and recommend PMAspire to anyone who wishes to sit for the PMP certification exam. I am right away recommending this to my colleagues in my office.